From 1985 to 2006, Keiko Hara, Whitman Professor of Art Emerita, taught studio art classes and served as the chair of Art Department, helping to start and design a new art building. A printmaking facility, Book arts program and other new courses were established, facilitated and expanded for an active and creative learning environment, along with various guest lectures, workshops and exhibitions, including annual field trips to New York City. Over the course of her extensive art career, Professor Hara coordinated a large number of print-related workshops in the US and Japan. Professor Akira R. Takemoto has taught Japanese language, literature and aesthetics at Whitman College since 1983. He has also curated a number of Japanese, Buddhist and mokuhanga exhibitions. In 2009 he designed and coordinated the establishment of a Japanese tea room called Chikurakken, which remembers the aesthetics of the Shikido tea room. 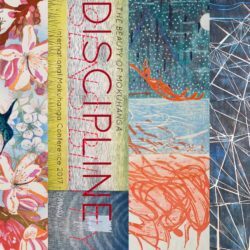 Abstract For artists, educational practices that cultivate traditional and contemporary mokuhanga techniques can include information about international exchanges and residencies that expand horizons and inspire a younger generation of artists.